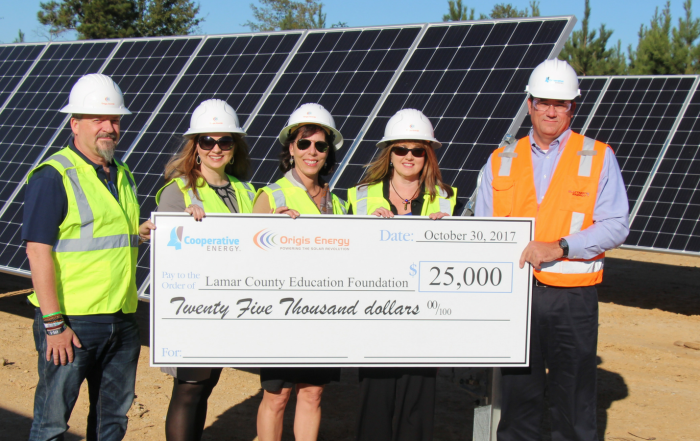 Origis Energy is committed to creating philanthropic initiatives tailored to the needs of our utility and large-scale solar clients. 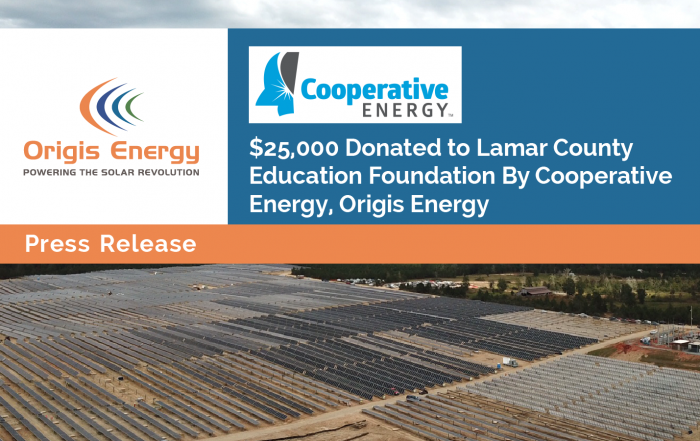 For the MS Solar 3 / Sumrall II project in Sumrall, Lamar County, MS, the company has created the MS Solar 3 Philanthropic Initiative with a focus on education. 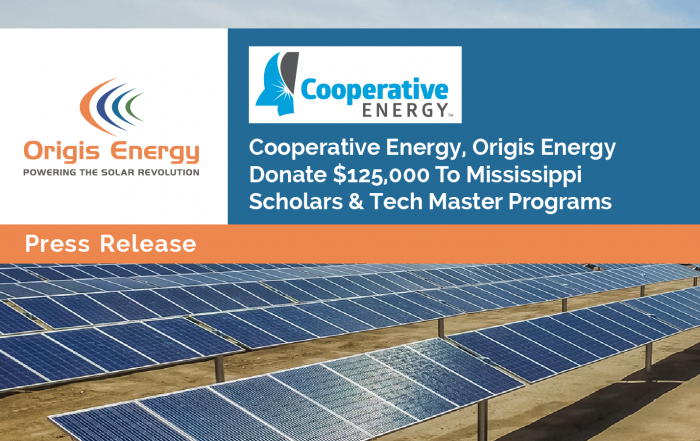 Cooperative Energy has joined Origis Energy in the MS Solar 3 Philanthropic Initiative and is matching contributions to the recipient organizations. 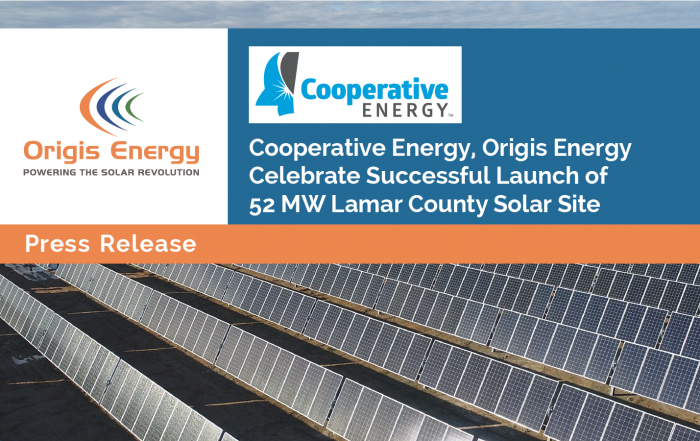 Cooperative Energy works with the Power of 12 (Cooperative Energy and 11 Member electric cooperatives) to provide electricity from the Mississippi Delta to the Coast. The 11 distribution cooperatives own and maintain approximately 56,900 miles of distribution lines and provide service to approximately 423,000 homes and businesses throughout 55 counties in Mississippi. The donations represent one-time contributions to each educational entity. 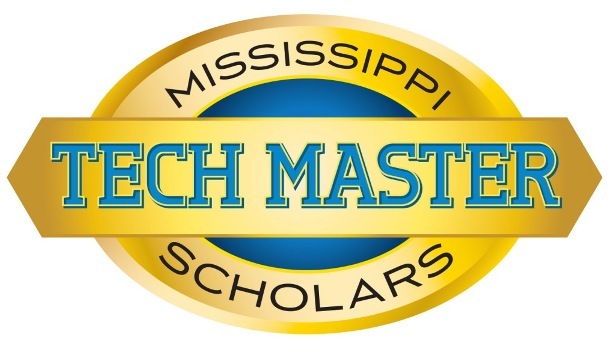 This Mississippi Economic Council educational program encourages students to take a tech-prep course of study and recognizes those students who meet performance benchmarks for career-readiness. 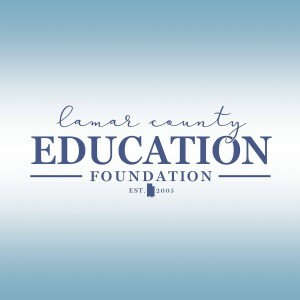 The Lamar County Education Foundation is dedicated to supporting and enhancing quality educational programs in the Lamar County School District. 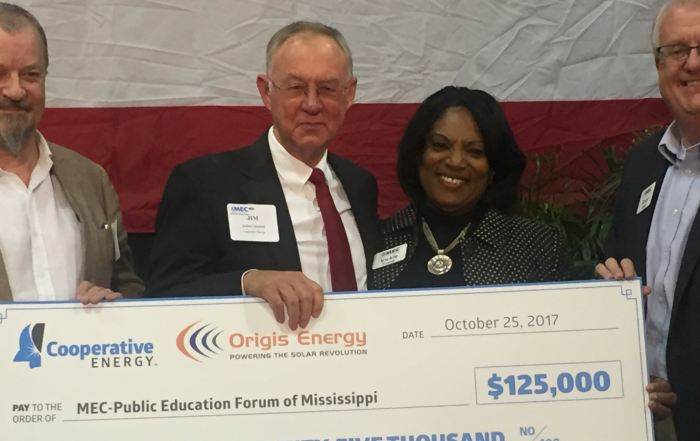 “Mississippi must have a trained workforce to keep our companies and our communities strong,” said Jim Compton, CEO of Hattiesburg-based Cooperative Energy. $200 Billion: Distributed Power Generation Opportunity. Currently, less than 7 percent of U.S. electricity is generated outside a centrally located power plant. 1.2 billion people in the world are without electricity. The yellow dot in the sky can help.